Reap the health benefits of Black Pepper and Spice up your life. 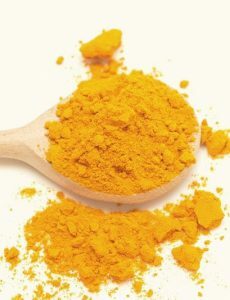 Known as The King of Spice its benefits can help neutralize harmful free radicals protecting the body and system. The major producers and exporters are India, in particular, Kerala. Other producers are Indonesia, Brazil, Vietnam, and China. Recently Vietnam has now become the largest producer and exporter of pepper with about 34% of the market. Apart from making you sneeze, Black pepper has many other health benefits which will be discussed shortly. 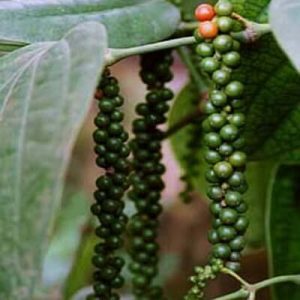 Pepper comes from the peppercorn plant (Piper Nigrum) and produces Berries known as pepper fruits. Once picked from the plant and harvested the Pepper Fruits then become known as peppercorns. Black, green and white pepper all comes from the same Plant. The difference in the colour depends on the way they are picked and prepared. Green pepper is usually picked while still in its unripe stages. White pepper is picked at a very ripe stage then soaked in brine. This will remove their dark outer shell and leave just the pepper seed inside the pepper fruit. The Black pepper is picked at the half-ripe stage just before they turn to a red colour. They are then left to dry, which causes it to shrivel up and gain that dark black colour. Black pepper is the most flavorful of the other peppercorns it can be purchased whole, cracked or grounded into powder form. Pepper has a hot pungent spice full of health benefits so much so that the label “The King of Spices” gives justice to the many uses it has. Perhaps this is why it has been used for thousands of years in particular, very popular the Ayurvedic healers in India. Within Black Peppercorn are many great minerals such as Calcium, zinc, potassium, manganese, iron and magnesium. Potassium helps control the heart rate and blood pressure and later you will find out just how important Black pepper is for the heart. It also has a good source of the B-complex of vitamins along with vitamin C and A.The later contain many antioxidant vitamins. Many of the antioxidants help the body to remove the harmful free radicals found in cancer and other diseases. When cooking it is best to add the black pepper towards the end stage of cooking as the volatile oils it produces evaporate and lose its flavour if added too early. Much like many other herbs and spices always best towards the last stages of cooking. One of the major components of Black pepper is the active component called piperine. This is what gives the pepper that spicy heat. Piperine, have been found to increase the bioavailability of many other nutrients as well as the supplements. The Piperine assists the movement of other components that may not be as bioavailable as Black pepper. Therefore in doing so this has a maximising effect and increases the efficiency of other ingredients of foods, we consume. When you include piperine with Curcumin an active component of Turmeric the piperine increased the bioavailability of Curcumin by 2000%. This combination helps to inhibit the cells in breast cancer. Here are some of the Health Benefits of Black Pepper that has brought so much attention to the amazing Qualities it now processes. With its antibacterial Quality, black pepper when added to a diet will help digestion. This helps to stimulate and increase the hydrochloric acid in the stomach, which in turn aids increased digestion. This will help to avoid other issues such as constipation; diarrhoea including helping to avoid intestinal gas. This is because the Piperine works like a calmative. It also assists with the breakdown of fat cells. When added to the diet it can induce sweating. In doing so, this helps to remove the toxins and cleans out the pores. It can help to remove the accumulation of excess fluids that have been built up. Now we know what Oxidation and Free Radicals are, so let us discuss the antioxidant qualities of Pepper/Piperine. Apart from the antibacterial quality of Pepper, is also has antioxidant qualities as well. Its benefits can help to neutralise the free radicals within the body and assist the repair and even to help and prevent any damage caused by radicals such as age spots, memory loss, even those wrinkles. Other preventions can be cancer, liver issues and even cardiovascular diseases that can lead to serious situations such as heart attacks, strokes, even liver problems. This is why it is so important to make sure that the body introduces antioxidants in order to help fight against these free radicals that create so many destructive issues to the body. One of the key factors for proper digestion is how well the Stomach is able to break down food that has been ingested. 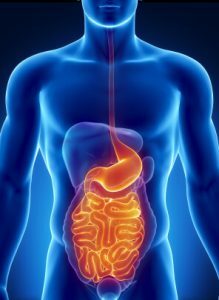 The Stomach produces Hydrochloric acid that is able to break down the proteins along with many other components in doing so this helps to redirect what is useful and eliminate what it considers as waste. There are times when the body for one reason or another is unable to produce enough Hydrochloric acid. As a result, foods lying within the stomach may end up sitting there for an extended time. Some food may not even get broken as much as it should be. This can lead to other issues, such as heartburn, indigestion, excessive gas. Some of the food may hang around within the intestine, which becomes a haven for unfriendly gut bacteria that may cause further issues such as diarrhoea, constipation and for many, irritations and pain. Black pepper or more specifically the Piperine component has qualities of being carminative, which can help reduce or even prevent the formation of intestinal gas. It will help to increase the Hydrochloric acid secretion. In turn, this increase helps the stomach to perform its intended role of breaking down the foods as intended. Black pepper also acts as a diuretic, which promotes urination that will enable excess toxins to be eliminated. Along with the toxins, it will also take away, some fat about 4% is estimated to be eliminated with urination. So just because it acts well for those wishing to lose weight, it does not mean to go and taking plenty of pepper for the sake of losing weight. Like all things, common sense and moderation is the key to wellness. This is because as stated above when the stomach is working at its full efficiency is able to break down the various food and its components. This also included the breakdown of fat cells that enable it to be either eliminated or applied in other ways that would promote healthy living from within the body. Adding Pepper to Turmeric greatly increases the effects not only for many of the Healing Benefits of Black Pepper stated here. 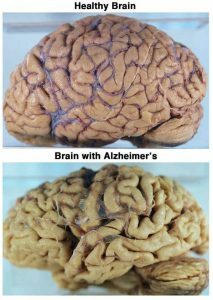 In fact, by combining the two greatly increase many other benefits such as Alzheimer’s disease. It has been long known that with Ayurvedic, healing the black pepper is used for assisting with those who suffer from coughs or colds even Asthma sufferers can benefit. The expectorant property and along with its anti-inflammatory qualities help to break down and loosen the mucus and phlegm making it easier to be eliminated in its natural way either by coughing, blowing the nose or sneezing. This is because any intake of excess pepper that is added to your diet or food intake may cause irritations to the intestines. So like anything that is taken should you have any allergic reactions or illness. It may be best to discontinue and see your health practitioner for assessment and further guidance. Have you had experience in using Black Pepper with other spices or herbs? Let me know as we can all benefits from the extra knowledge we all have to share. Thank you for your time may you be blessed and bask in the light. lifemanagement4you.com is a participant in the Amazon Services LLC Associates Program, an affiliate advertising program designed to provide a means for sites to earn advertising fees by advertising and linking to Amazon. Certain content that appears on lifemanagement4you.com comes from Amazon Services LLC.